Our locomotives and railway cars are not toys! They are real machines, and some of them weigh up to almost 800 kilograms. For your safety, and your children's safety, we ask that you remain in designated areas of the site. Please pay heed to any and all warnings given by our volunteers. We want your visit to be a pleasant one. 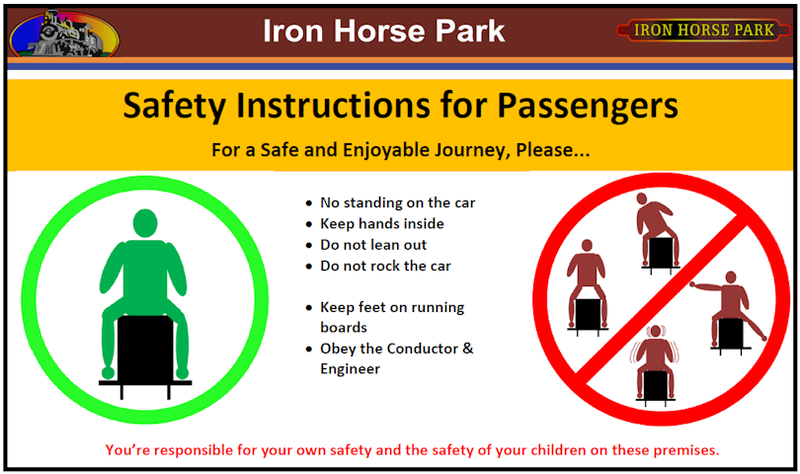 The picture below is of a sign that outlines our passenger safety rules. If you have infants or small children please do not carry them in your arms when riding our trains. They should either be kept seated or carried in an approved infant carrier. If the engineer has to make a sudden stop, the force of braking could cause your child to fall out of your arms! Pre-school children, and persons with physical or developmental handicaps are always welcome aboard our trains, but they must be accompanied by a parent, guardian, or chaperone. Above all, You are responsible for your own safety and the safety of your children on these premises. 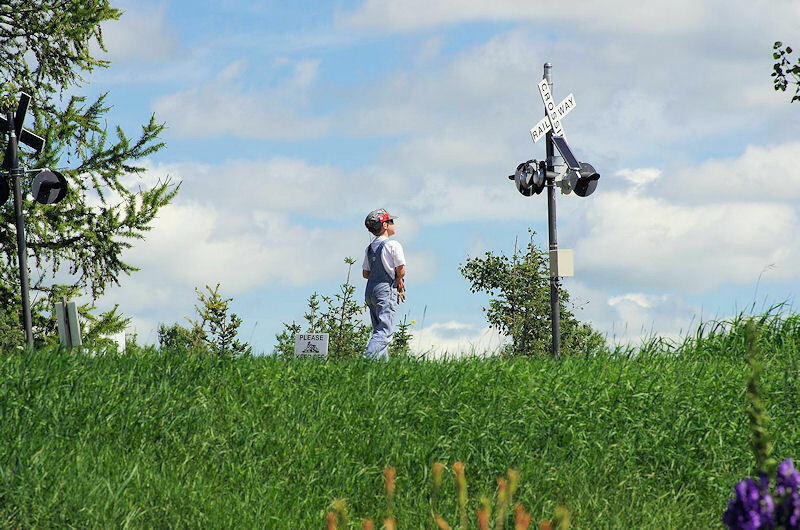 All crossing signs and signals should be obeyed at all times. Photo by Reg Kearns, July 2016.